Porsche Piwis tester 3 PT3G VCI with V37.250.020 Piwis 3 Software unlimited license installed on Full new Panasonic CF-54 laptop ready to use new release for Piwis III diagnostics and with Porsche PPN subscription for Porsche Online programming. What’s the Feature of Piwis III? Why Choose Piwis 3 with V37.250.020 Porsche Piwis Tester III software? 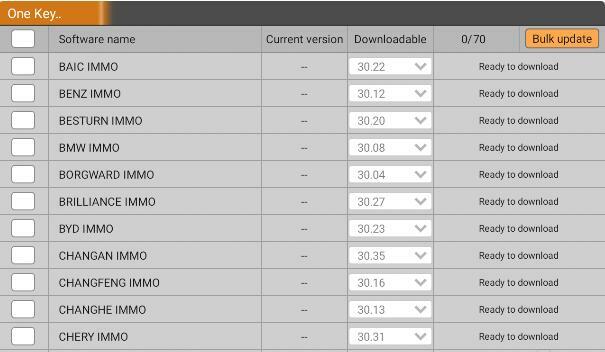 Obd2tool.com share PIWIS tester III PT3G VCI Feature as following. Porsche Piwis 3 PT3G VCI compare with Piwis II work for new model: Panamera G2, Cayenne E3, and Porsche cars after 2017 till 2018. Obd2tool.com have Porsche Piwis III PT3G VCI with V37.250.020 Porsche Piwis 3 software Features unlimited license. 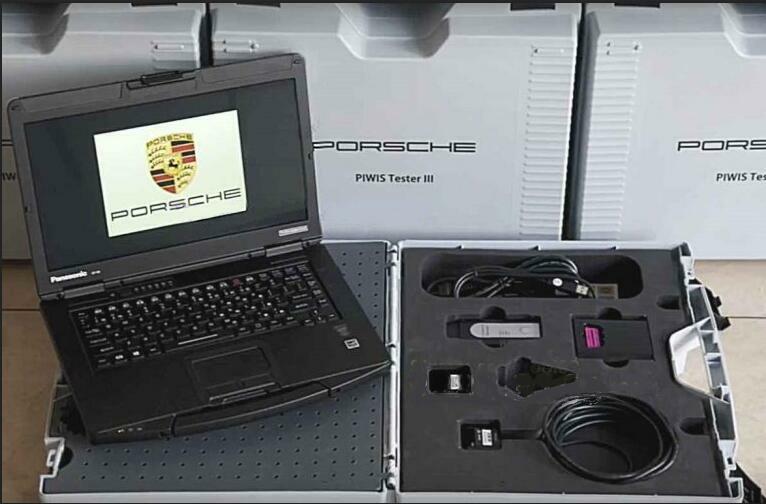 Porsche Piwis Tester III work for Diagnostics, General ECU diagnostics (DTC read/clear), ECU programming/coding, Real-time control parameters display & Electrical schematics mapping etc. Piwis 3 from obd2tool.com is the third-generation Porsche diagnostic tool Porsche Piwis Tester III, it’s improve to the modern user interface, easy to carry for working, faster performance. 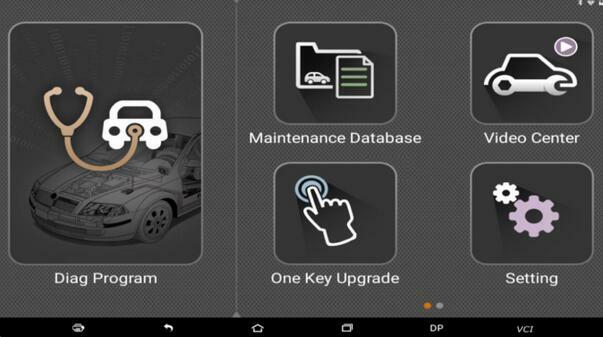 Porsche Piwis III Update New: license automatic update, online view of the technical documents, fault finding guide, online programming, faster and more efficient work. Need Original Porsche Piwis III with V37.250.020 Piwis 3 Software Unlimited License just contact us freely. I’m completely new to Caterpillar equipment and CAT SIS. I have received an inquiry from a customer for engine parts. He has sent me machine info which I’m pasting below. Can I find out which engine and Heavy Duty Scan Tool I have via machine info? What is the procedure to root thru CAT SIS to find parts for this specific engine? The information is all there, you just have to know how to decipher it ……………. Machine Arrgt – 264-8724 – Put the full machine Serial Number RAC00330 in SIS-web. Click on Systems & Components -> Machine Arrangement -> Machine AR. -> Parts identification. It takes you to 264-8724 General Arrgt. If you put the full Serial Number (RAC00330) into CAT SIS Web then if you click on Systems & Components SIS all the information shown in every section will be for that particular machine “As shipped” from the factory. As automotive technology advances, vehicles are becoming more complex, right? Troubleshooting even the most basic automotive problems are increasingly becoming complicated. 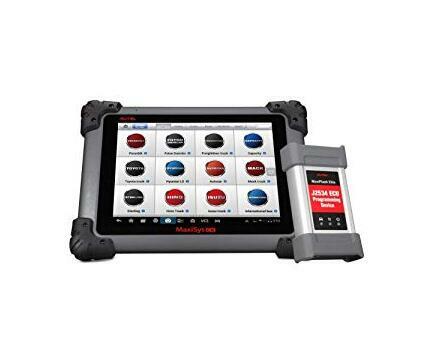 Luckily, Autel MaxiSYS MS908CV Heavy Duty Scan Tool is an incredibly powerful scanning tool designed to match the complex drivetrains that have been introduced to vehicles. 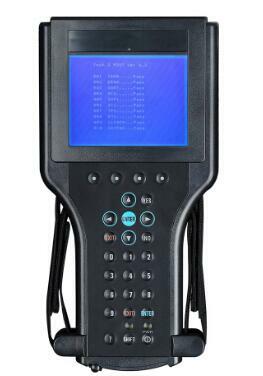 The heavy-duty scan tool performs enhanced diagnosis on the more commercial vehicle than most diagnostic tools. In fact, more than 80 commercial vehicles including heavy duty, medium duty, and light duty can be scanned using this great scan tool. 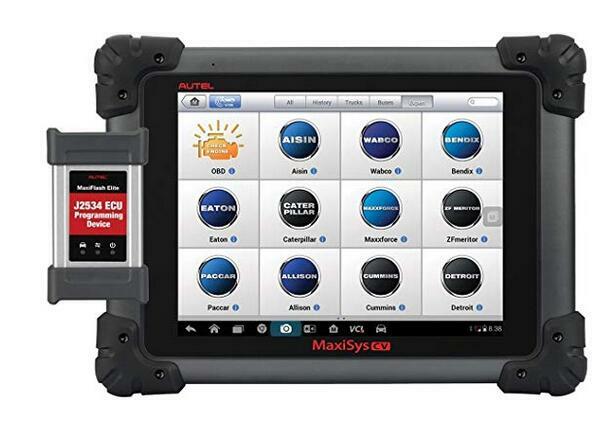 The Heavy Duty Scanner Maxisys CV heavy duty scan tool is built and run on MaxiSYS Android-based platform. The first thing you will notice is a state-of-the-art Autel 7’’ tablet that runs on Android system. Besides, it is delivered with a sturdy adapter, build-a-cable kit, OBDII to 6-Pin, OBDII to 9-Pin, and OBDII cables. Equally, it has web browsing capabilities, Adobe reader and TeamViewer installed. Included also is the latest J2534 MaxiFlash Elite that has the capability to perform a comprehensive pass-through programming function. Additionally, this vehicle programming tool performs complete tool-guided maintenance functions and services as well as diagnose specific manufacturers system. The Maxisys CV heavy duty scan tool will treat you to an incredible user experience. To begin with, it has a 9.7’’ backlit glossy Multi Touch high capacitive display equipped with IPS technology. Whenever you need to record images, its powerful 5-megapixel rear camera equipped with autofocusing capabilities as well as flashlight will help you get crystal clear shots. Even better, you will access live data in form of text, digital and analog gauge, and graph for both data analysis as well as review. The table is also equipped with different configure options, record, and playbacks, and set triggers with one touch. As a result, you will be able to playback the recorded data for enhanced ability to accurately pinpoint the possible troubles in your trucks. The strength of Autel MaxiSYS MS908 CV Heavy Duty Scan Tool lies squarely in its powerful software system. We all know how Android Operating System has practically ushered us into a new and exciting age of technology. And Autel maxisys CV truck Scan Tool has leveraged on the Open source Android Operating System to introduce heavy truck scanning in just one touch. 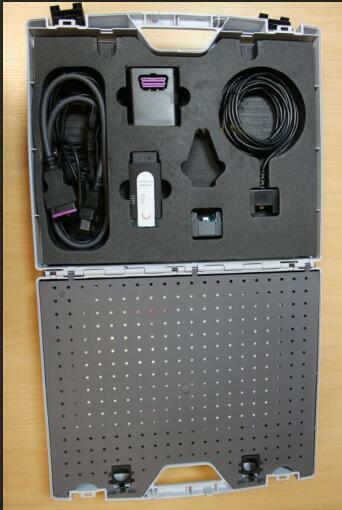 The scanning device takes truck diagnosing to next level with auto scan and auto VIN based systems. What does this mean to an average truck owner or a mechanic? 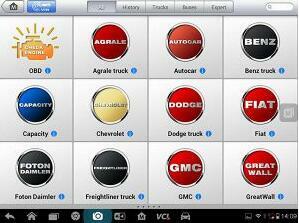 It means that you are able to scan and detect your vehicle in a breeze. Moreover, its advanced ECU coding as well as programming enhanced by automotive tool MaxiFlash Elite, is capable of performing J2534 pass-thru comprehensive programming. 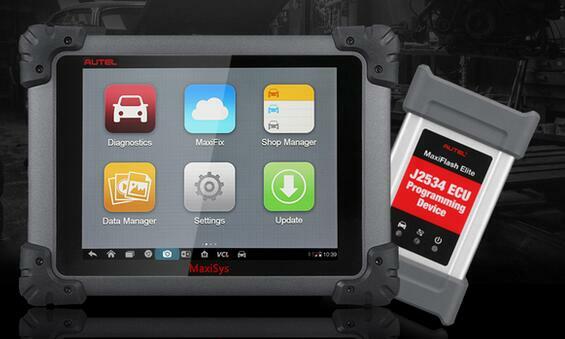 Subsequently, the availability of a reliable Bluetooth VCI communication between the MaxiSys CV tablet and your truck incredibly enhance user experience. Autel Maxisys Pro MS908P is potent a diagnosis plus research technique pertaining to vehicles. Autel MaxiSys Pro MS908 analysis technique can be incredibly populor in auto a diagnosis current market, when Autel MS908P will offer lots of the important attributes belonging to the MaxiDAS DS708 with intense ease of make use of plus potent analysis functionality. Autel ms908 attributes a great very quickly A9 quad-core pick, your 32G reliable point out hard disk including a very delicate hunting for. 7’’LED capacitive touch display. Maxisyspro ms908 Displaying the latest AutoVIN technological innovation to identify CAN EASILY vehicles of hospitality attire touch, plus joined with the particular exceptional AutoScan purpose, the particular MaxiSys is the many bright technique in the industry. The particular MaxiSys attributes sophisticated dual-band(2. 4GHz plus 5GHz)802. 11n Wi-Fi that’s up to twice when quickly when every previous-generation analysis models. The particular MaxiSys Auto Communication Interface(VCI) attaches by means of reputable Long-Range Class 1 Buletooth towards the intended for capsule. The particular Coding purpose is employed that will configure the particular auto manipulate modules(ECUs) with extra ranges, while Programming is employed that will reflash the particular auto ECUs. Most of these performs permit you to revise laptop application about the auto towards the newest variant, together with that will reprogram adaptive information for certain parts right after doing fixes or maybe substitutes. MaxiSys is among the almost no analysis models on this planet with the ability involving preforming harmless plus reliable coding plus display programming with affordable expenses. The particular VCI pertaining to Autel Scanner MaxiSys PRO is usually a SAE J2534-1 &-2 Compliant Programming Program. With all the kept up to date OEM application, It is able of exchanging the earlier software/firmware in electronic manipulate units(ECUs), programming innovative ECUs plus fixing software-controlled driveability concerns plus emission concerns. Absolutely compatible with equally SAE J2534-1 plus J2534-2 reprogramming specifications, Performs the conventional Passthru J2534 functionality. Quickly functionality ensures fast reprogramming involving also the particular newest controllers. This kind of article is embraced by way of ADK automotive analysis provider, when you’ve got every tips concerning autel maxisys ms908, make sure you give people concept or maybe check out each of our most important web-site to contact people. If you’ve recently bought a keyless remote entry fob for your Honda or the battery died in your existing remote, programming it is quick and easy. There’s no need to take the remote to a dealership for programming, simply follow these 9 simple steps. Step 1: Gather all the Auto Key Programmer. You only need one remote to access program mode, but all remotes must be programmed during the same session. Your Honda will “forget” any remote previously programmed. Step 2: Sit in the vehicle with all the doors closed and unlocked. Step 3: Turn the key to the ON position, one click before starting the ignition. The lights on the accessories should come on and the dash will light up. 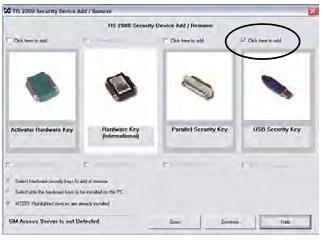 Step 4: Within 5 second of turning the key to the ON position, press the LOCK button on your remote control transmitter for one second. Step 5: Turn the key to the OFF position. Step 6: Repeat Steps 4 & 5 two more times for a total of three ON/OFF cycles. Each step must be done within 5 seconds of the previous step. Step 7: Turn the key back to the ON position (this will be your fourth turn of the key), press the “LOCK” button on your remote. The Honda Key Programmer locks on your Honda will make a clunk noise exactly as they do when locking. You doors have not locked. This noise indicates your Honda is now in Remote Programming Mode. Do not turn the key off. Step 8: If you would like to program more than one remote, press the LOCK button on each additional remote for 1 second. As with all other steps, you have 5 seconds to complete this step. Programming Mode will be activate for a total of 10 seconds. Only 3 remotes can be programmed to each Honda. Your locks will make the clunking noise (as though the doors have locked) after each remote is programmed to indicate they have been successfully stored in the system’s memory. Step 9: Turn the key to the OFF position and remove it from the ignition. Test all of your remotes to ensure they have been successfully programmed. Remember that your remote will not work if the key is in the ignition. If you’ve lost your keyless entry remote, it’s a good idea to reprogram your Honda remote to protect your vehicle from theft. I’m running Xentry/DAS 2018.05 (not OpenShell) on my MacBook Pro together with SDconnect C4 via LAN cable and VMware. Works without problems. Need bridged networking in VMware. And adjust the network settings/IP addresses. Use VMware Fusion Professional and and allocate enough resources to the VM. That is the magic of virtualization. 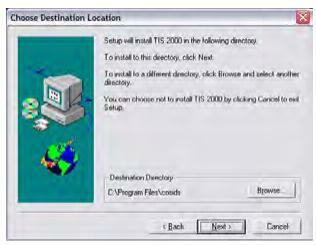 If you can locate a copy of Star Diagnosis that was intended for the IBM ThinkPad T30 running Windows NT 4.0 Workstation, you could easily install Windows NT 4.0 in a virtual machine and replicate that environment with near native performance. If you prefer to use a Windows XP-based version, that is easily done as well, up to and including Windows 10 1709 or Windows Server 2016. 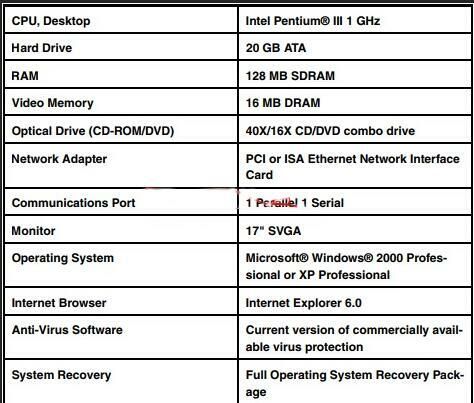 Almost any computer you purchase now will not have drivers available for Windows XP, so either an old PC such as a Dell D630/D830 will allow you to install Windows XP natively and make it work, but virualization takes the headache out of that. OS X us built on UNIX, so it is a very stable host OS and can run nearly any version of Windows was a guest with easy, stability and performance. The only think I would refrain from doing at this point in time, is if you are using OS X 10.13 High Sierra, do not use APFS just yet. It still is not as stable IMO as HFS+. You certainly don’t want to introduce system instability when programming a control module! The battery life is good when running Windows in a VM, as OS X has excellent power management. Allocate at 2 cores to the Windows VM, and if using an XP-based version, 2048GB of RAM should be sufficient. It is very straight forward. I elect to not use the automated installation of Windows, as it automatically configures the partition sizes, formats them, etc. 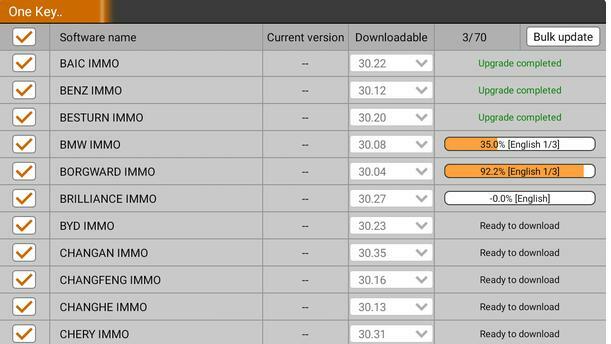 Instead, do a custom installation and select your ISO. 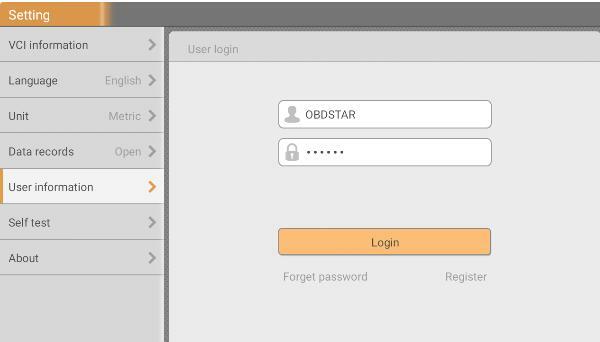 It will then determine the contents of the OS ISO and select your low-level hardware components automatically, such as CD-ROM bus, HDD bus, etc. For the network cable, it defaults to NAT, so it shares the IP of OS X, but cannot receive unsolicited network traffic due to the nature of NAT. You can select Bridged, and it can have an IP on the same subnet as OS X.
I think I would prefer to install my installation from scratch, as the pre-built images that are distributed have an unknown product key, and also could contain malware or other unwanted applications. If you are installing the XP version of DAS/Xentry, specify your virtual disk to be about 120GB, and when Windows XP asks you to specify your partition size, instead of pressing Enter and allowing it to consume the disk specify 20GB and quick format as NTFS. Create the remaining three partitions in Disk Management after XP completes installation. 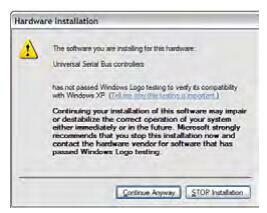 Also, the first thing you will want to do is install VMware Tools after XP installs. If you want to install all available updates for Windows XP, and download WSUS Offiline version 9.2.3 and it will get your all of the available updates that were released when XP reached EOL. I have used 12.2015, but if I still used Star Diagnoses, I would revert back a few months to avoid the hard-coded timebomb that was implemented at the end of 2015. I have used this setup for many years for control module programming and SCN coding with no issues. GM has had its newest programming/J2534 Pass Thru device on the market for some years now. A lot has been said about it and I am here to tell you that I have finally taken the plunge into GM MDI in, pretty much, all of its aspects. I decided after taking it into the field for a while, it was time to report what I experienced and how I feel about MDI and its companion programs. It is a formidable diagnostic/programming system that has really benefited me more than it has impeded me. With just a few exceptions, this system has my stamp of approval. let me say right out of the gate that my intent is not to do anything but provide you with information that can be found on any of the literature that GM has provided for Auto Scanner Tool MDI, Tech II WIN and GDS II users. What I am offering you is a slightly more comprehensive report of these facts as I understand them, have experienced. Additionally, I am NOT an engineer before I am a vehicle technician and automotive trainer, thus my approach is view of a technician and trainer. Please feel free to email me with any information you think I may have missed or questions or comments you may have. This is how I continue to have guides like this evolve to help others. First off, let’s talk about what GM MDI itself. The GM MDI which is an acronym for Multiple Diagnostic Interface. It is a very basic, yet very effective J2534 Pass-Thru unit that General Motors adopted several years ago. This was in lieu of the introduction of the Global Diagnostic System (GDS) and GDS II. This diagnostic software package is needed to be able to diagnose GM’s global A platform vehicles like Camaro, Equinox, Regal, Terrain, Cruze, and even the Volt. These vehicles will not communicate with the Tech II of yesteryear, thus they can neither be diagnosed, nor programmed with a GM Tech II. MDI provides the user with several well marked status lights for connectivity, and functionality. The MDI is also capable of operating wireless and as a network device as it comes from the factory with a removable wireless card. The MDI package also includes a network cable, DLC cable that looks similar to the Tech II DLC but is NOT the same. It comes with a very nice, long USB wire and a nifty connector protector device that prevents wear and damage to the end of the USB wire that connects to MDI. Included in the package is also an AC adapter with plug converters that allow for use worldwide as well as a quick-start CD with instructions and a “birth certificate.” The unit comes to you brand new in a “brain dead” state. This means that you need to start from scratch and download 100% of the software and drivers you need to operate the unit and its attributes. This means that you will need access to TIS to WEB to get this software, or a good reliable source outside of AC Delco. You can go out on places like GarageForum and down load software, but keep in mind that there are BAD people on the internet who sneak malicious software into downloads to steal your information off of your computer. The MDI allows the user to operate his/her diagnostic programming on PC and use the MDI as its pass thru device and with the GDS II software, do pretty much anything on a Global A platform vehicle. 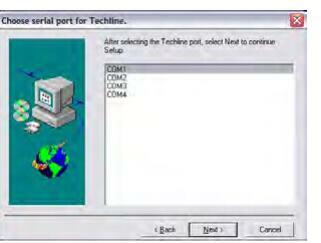 One can, furthermore, program any controller on a Global A GM vehicle with the MDI, with the support of TIS to WEB. You can also program OBD II and all other CAN equipped GM vehicles through any mode you wish. Although there is currently no software flash programming on disc for Global A vehicles, all the flashes must be accessed on the World wide Web, just like all of Chrysler’s flashes, and in just a couple months, Ford will be doing this as well. 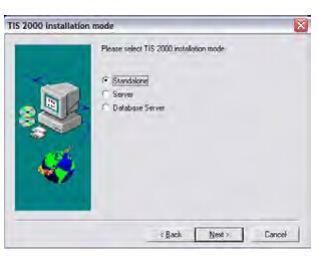 As you will read, MDI will allow its user to interface with the antiquated, but very useful, TIS2000 program for GM pre-08 applications. GDS 2 – At first blush, needs more work! The software that allows MDI to interface your PC to Global A cars is called GDS II. This program needs A LOT of work! It is not a very user friendly program that does not appear to have the technician in mind. It was clearly designed by engineers who seem to think cars are worked on by other engineers, not technicians. I have always found that the major disconnect between GM’s team that wrote this software and the end user will inevitably be the biggest criticism of this software diagnosing system. 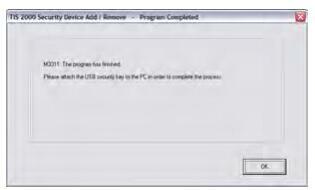 The program does not flow well and has a lot of disjointed functionality. Things are often difficult to find within the system and not always in the same places for all applications. Like a bad relationship with a spouse, you eventually settle into the program with experience, but I have not yet reached that point. 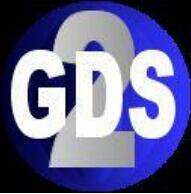 I will provide more information and examples as I spend more time with GDS II. MDI pretty much leaves the Tech II user in the same boat as the TIS2000 user. Although its still useful, it’s time has passed. For some years, it was necessary to have a Tech II in your stable for the older GM’s with simple CAN and OBD II but this too has clearly passed! Tech II is still useful for GM OBD I cars. For OBD II and newer cars, with the introduction of Tech II WIN, the MDI and your PC can be used to emulate a Tech II WITH CANDi right on your PC at about 100x faster than the old Tech II stand alone. Thus far, I have been able to do just about everything with the Tech II WIN program that I could do with my actual Tech II, but I have to honestly say, I have not yet done every single function on every model. Now you can do pretty much anything with your MDI you could do with your Tech II WIN program on GM NAO and a few other software packages. Tech2WIN will NOT, however, work with ALL the same applications as GM Tech2. Saab, for instance, will NOT work with Tech2Win. With that said….here comes the BAD news. Tech2WIN is a great service to have, but consider that you dont own it! You just lease it from AC Delco. Once you get Tech2WIN downloaded, unpack the program and install it, there is a lot of stuff you have to do to make it useable. 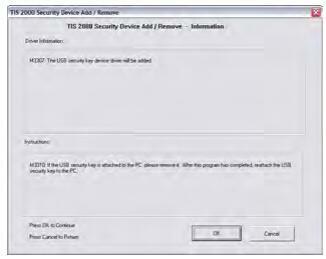 You need to obtain a security license off of TIS on WEB, than download the software package you want to use. It’s a huge hassle at first because the instructions are very poorly written and leave out a few key procedures on how to do this efficiently. You have to, furthermore, update the software every 30 days to keep it functional. Tech2WIN will work stand alone (with no connection to the internet) for only 30 days at a time. 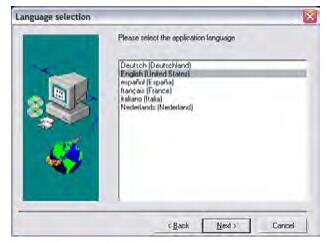 After that, you have to go through the update procedure again and download current software. Unlike how you do it with Tech 2 and your 32 Mb memory card, once you download, oh lets say, GM NAO software for Tech2WIN, you will see a counter in the lower right hand side of the screen on the program when you open it. It will begin at 30 and once it runs to 0, you need to get on line and download your software again as it will no longer work. If you are reading this and are thinking “OK so whats the big deal”? The big deal is that the software access package from AC DELCO on TIS to WEB that you need to get this updated software will cost you a minimum of $1400 bucks! You cant subscribe weekly or monthly, or even yearly unless you choose one of their more inclusive packages and get this service. 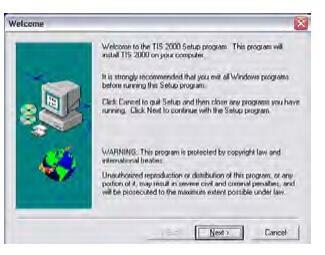 With your old Tech2, you could download a version of Tech2 software and once a new version came out, you just got an annoying screen reminding you that there MIGHT be an update to your software. You can still use 100% of the software despite there being a slightly newer version. You can’t do this with Tech2WIN. Although the program itself is a great product, the cost of keeping it working makes it VERY hard for me to say that it will cause technicians who use Tech2 to flood onto Ebay or Craig’s list to sell off their Tech2’s. The unfortunate thing that will likely occur in time is that GM will begin to only offer updates that will work with Tech2WIN. This may occur simply because the 32 Mb card will soon not be able to hold all the information required to update Tech2. Once this happens, GM is not likely going to spend the money required to put out an updated card for an antiquated scan tool. This is all speculation, however, look to see a lot of good deals on Tech2’s on Ebay once this happens. One little tip I have gotten from my dealership buddies turned out to make a lot of sense. When I bought a used Tech2 on Craig’s list a few years ago, it had a software package from back to 2006 on the 10 Mb Card. I took it and threw it into my box of 10 Mb cards and OBD I cords and forgot about it. When I went to do some work on an 88 suburban, I couldn’t find some of the functions on my Tech2 that had current updating on it. I asked my buddy at the dealership who is pretty tech savvy and he told me that as GM puts out newer software for the latest models that are not Global A platform vehicles, they start pruning off software from the earlier models in the GM NAO software package. If you have access to an older version of NAO or know someone who has an old memory card with outdated software from pre-07, get a cheap 10Mb card, and use the utility on Tech2 and get yourself a copy to keep just in case you have to work on one of those old crusty GM’s. Its because of stuff like this that the 10Mb card is still a useful item as is the good old Tech 2 scan tool. Tech II is on life support! 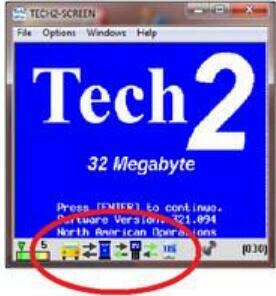 When GM went to the world wide web back in 08 and away from TIS2000, the Tech II’s days became numbered. They have been very nice about making it possible to use Tech II well into the current day, but with the growing number of Global A cars on the road, Tech II is about to find itself on the shelf along with TECH I. The good news for us veterans that In addition to Tech II WIN allowing us to have the comfort of Tech II on our PC, for those of us who still use TIS2000 software, it is about as easy as pie to configure TIS2000 to work as a pass thru unit with TIS2000 directly. What this means is that you can simply put MDI on your menu of units that you are programming with using TIS2000 and program all of the old school GM’s all the way back to OBD II with MDI and TIS2000. Sure, you wont be able to get the most current programing that you can get on line, but when you don’t have access to the internet, and doing an older pre-08 GM family car, you wont be left in a lurch if you have TIS2000 loaded on your PC. Lots of people say “why in the hell would anyone want to use flashes that are over 4 years old on TIS2000? My response is almost always “because not everyone has access to the internet in the front seat of a car on a car lot,” or “some people simply cant afford to buy access to TIS on WEB for the few times they need to replace a late model GM controller.” There are lots of reasons why people need to have flash programing resident to their PC, as opposed to having to go out on line to get it. Than there is the economic reality of the situation folks. 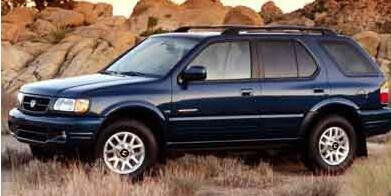 Up here in the lawless badlands of Detroit where at least 90% of the cars finding themselves in repair shops are non Global A vehicles, and pre 08 GM’s, TIS2000 is still an extremely useful entity. The fact that you are reading this means that you are likely looking to invest in such a unit, or already have one and need more background. Keep in mind that for every piece of new technology that comes down the pike, there is gong to be some clown trying to copy it and for less money and sell it to you. This would be just great if they were more up-front about it, but instead, they act like they are selling you an authentic unit, or a BETTER than authentic unit for far less money than an authentic unit. Sure, I have read about lots of folks on GarageForum who use clone FORD VCM units and seem to have great luck with them. For every one of those stories, I hear and see hundreds of others who got a piece of complete garbage from some Ebay rip off artist who sold them on the idea that somehow anything that comes out of China or Korea is something other than crap! Keep in mind that all of those folks who spent money on VCM units out of Asia thinking that they would cheat the system and be able to operate with impunity and for free are now coughing up even more now than they would have before (at least until someone figures out how to rip off the IDS software and un-lock it without paying). It is people like this who cost everyone more money in the long run because Motorcraft, like AC Delco and Witech, will spend millions to protect their software from piracy, and the rest of us will pay for it in higher prices for it. I am the last person in the world that will preach about software piracy as I encourage others to share software, however, with hardware, we are in a completely different boat. Clone hardware is RARELY well worth the investment and 95% of the time, ends up a total loss. Good luck finding the 5% that actually works well and has longevity. The only people who think Chinese or Eastern European Clone tools work well are the people who were stupid enough to buy them and almost always regret it as the solder melts away with nominal use or future program upgrades wont work on them and renders their clone crap useless! I have a clone VCM on my bench right now that actually has mold growing on one of the circuit boards from the acid core solder they used to build it in China. It ate through the laminate on the board and caused a major malfunction after only 6 weeks of use. Software Sharing, a cheap way out, BUT……………………….. Regarding the download of information from the World Wide Web instead of the reliable source like AC Delco, keep a few things in mind. You can jump onto some of the sites dedicated to diagnostic tools and download software from, what you think are, trusted sources. The fact is that many people end up downloading malicious software that gives others on the web access to your computer. They steal your financial information, software, passwords and personal information right out from under your nose. Consider the piece of diagnostic software that a friend of mine downloaded (Witech) on a forum a couple weeks ago. The software came from a trusted poster, but what he didn’t know was that the poster got it from a questionable source, posted it on the forum, hundreds of people downloaded it, and within a couple weeks, it was on thousands of computers world wide. A quick virus scan found a TON of spywhere on that download that was NOT there from WiTech. It included data mining software, and malware placed within it by dozens of sources. Long story short, there are BAD people doing BAD things on line! Even good people end up spreading some very damaging viruses and software to good people. You need to practice thorough vetting of all software and software sources before introducing these into your PC. As we stated earlier in this article, the biggest detractor to the MDI package, in my opinion, is GDS software! It is not very user frinedly as GM really needed to get some technicians in on the structure of this program before dumping it on us. 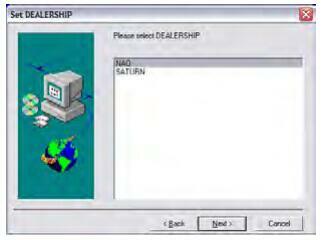 I know a lot of GM dealership folks who still struggle with thie program. To fully appreciate the benefits of GM MDI,you MUST have access to TIS to WEB. That means big bucks for this level of access! A year of middle of the road access will cost you about $1600 bucks if you work with GMs regularly. If you’re a daily flyer, better be prepared to spend a little over fifty bucks a week for weekly access. As stated earlier, to be able to use the Tech II Emulator (Tech II WIN), you must be able to download software updates onto your PC just like you used to do with your Tech II 32 MB memory card. You will need to update your Tech II WIN program using TIS to WEB, and not only will you need to update it, but you will need to update it every month! Once that month times out, you will need to, once again, download the Tech II software you were using to keep Tech II WIN operational. A weekly or monthly TIS on WEB subscription does NOT give you access to Software Download (SWDL) privileges. This will cost you a minimum of $1600 bucks or a buddy who will give you access to TIS on WEB. In conclusion, I am very happy with my MDI interface, as I have access to TIS on WEB as well as TIS2000 and have become comfortable with the use of Professional Diagnostic Tool Tech II WIN. I program cars for a living, so the cost benefit is in my favor. If you’re a novice, you may want to think twice about trashing or selling your Tech II. The GREAT news for the novice GM person is that I think Tech II will soon be flooding the market at very reasonable rates, now that it is very quickly becoming antiquated. The bad news to us technicians is that MDI clones are already all over the place on EBay so watch your step! Like so many other clone diagnostic tools, the crap coming out of Korea and some out of China are just that…CRAP! Good Luck and again, if you find that any of my information is not 100% accurate, or have something to add, or just have a question or two, please feel free to Email me. I don’t get paid for posting these guides folks, I do it so I can teach others and also to learn from those who may know more about this than I do. Please consider sharing your knowledge with others as well. Remember that in the end, it’s them vs. us in this business. Companies like GM who take our hard earned tax dollars, rip off their pensioners and cheat their suppliers who they owed money to by declaring bankruptcy un-necessarily, wont bat an eye when it comes to squeezing us independent repair technicians out of the picture. Consider that here on the internet, we have the ability to join forces and support each other in the effort to thwart greedy companies like General Motors. We can only do it if we band together, spread the word and share our resources. Knowledge is the most valuable resource we have so share it with others. You never know what you may get in return! 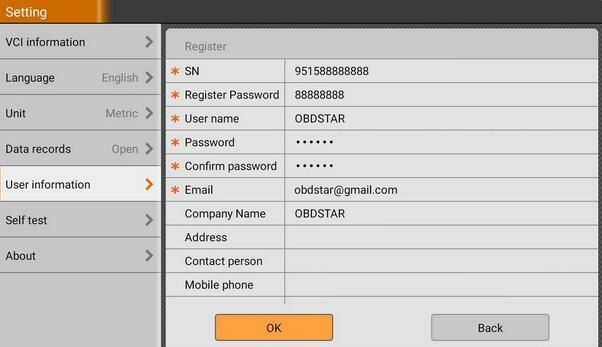 OBDSTAR X300 DP Plus is a new Android-based vehicle trouble diagnostic device developed for internet applications. More product details you can refer to 2018 OBDSTAR X300 DP Plus (X300 PAD2) Key Programmer. 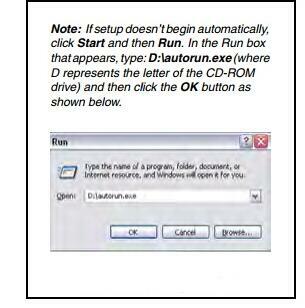 And this post will guide you how to register and Download diagnostic software. Fill in the information in each field (Items with * must be filled). After inputting, tap “OK”. If you have registered to be a member, click “the user information” to enter user login page.